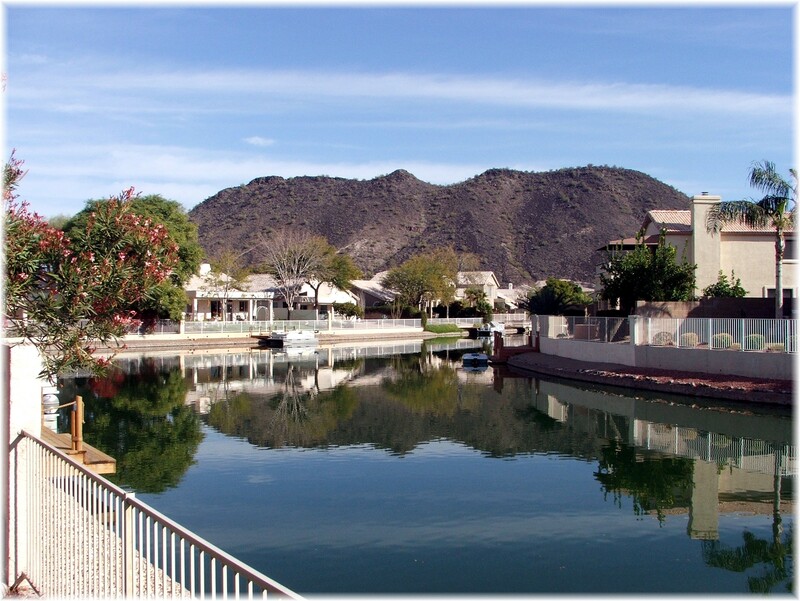 One of the many Val Vista Lakes waterfront neighborhoods includes Breckenridge Bay, a townhouse complex of 60 townhouses, 37 of them are waterfront. The majority of the properties were built between 1987 – 1997. There is no community pool in Breckenridge Bay but that’s understandable because the amenity rich Val Vista Lakes club house & community center with 8 tennis courts and 2 pools is right around the corner. 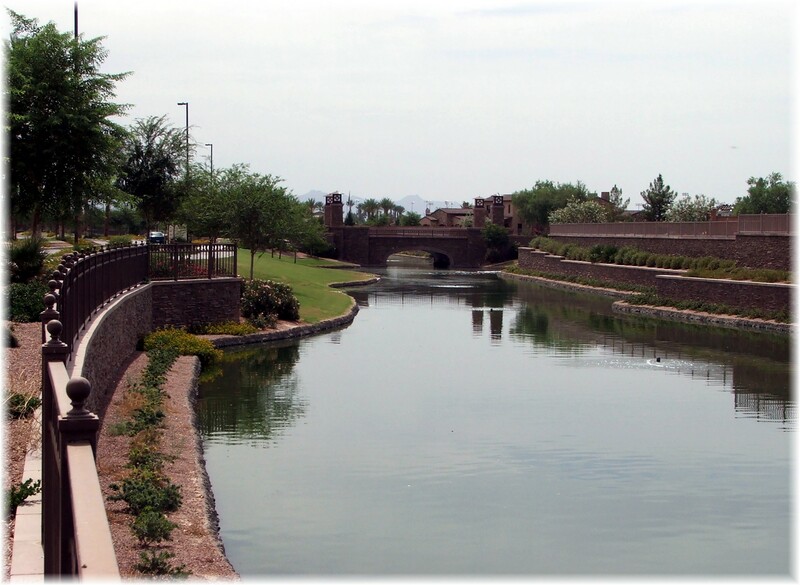 What makes an Arizona community a master planned community? How do you know if you live in a master planned community? 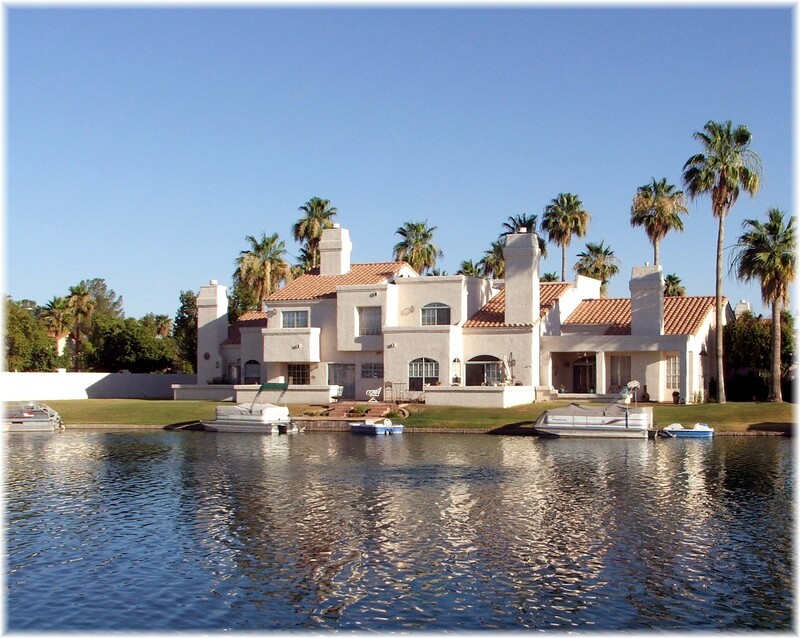 It is a commonly used expression when describing Phoenix residential real estate to say a community is a “master planned community”. If you ask 5 people for a definition, you’ll probably get 5 different answers. 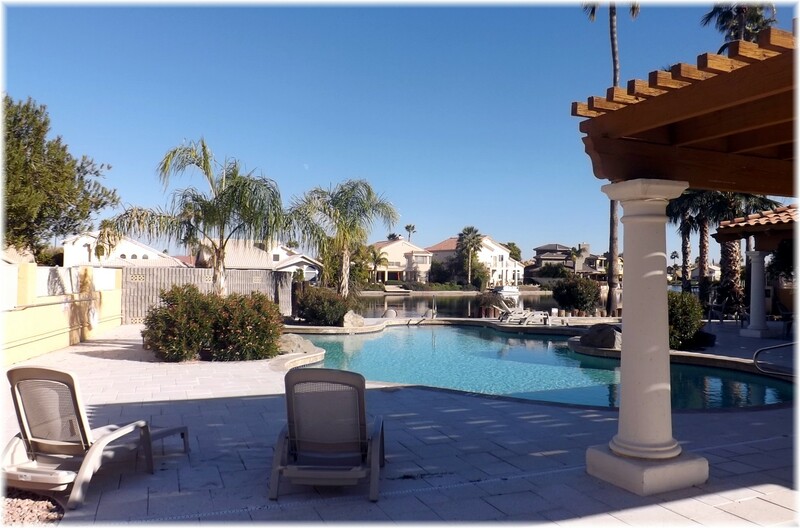 Many are very well recognized communities throughout the valley such as McCormick Ranch, Power Ranch, Anthem, Desert Ridge, Verrado, Estrella Mountain Ranch and Ocotillo. 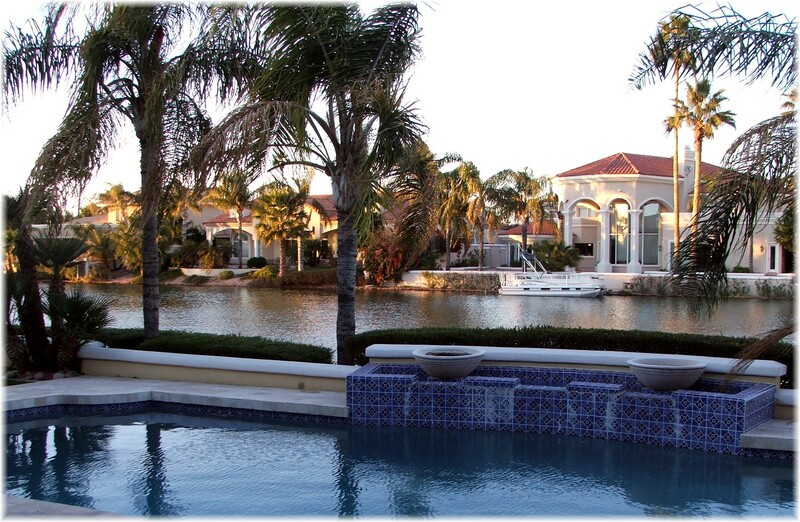 If a waterfront home afficionado is looking for a luxury lakefront custom home in a gated community, then Val Vista Lakes needs to be on the short list. This 900 acre master planned community also has one of the most complete community centers in the valley. 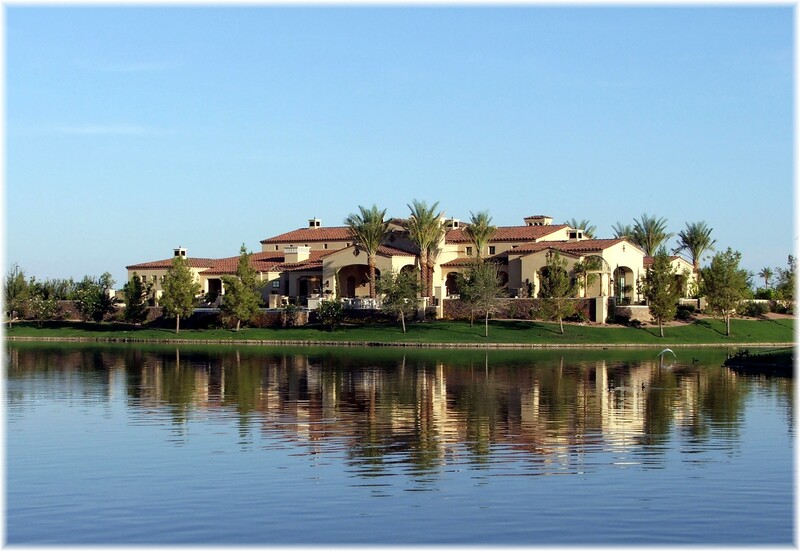 There are three sub-divisions that offer this unique combination; The Regatta, West Lake Estates, and Lakeside at Val Vista Lakes. You know when a community pool is popular when it is early November and residents are still enjoying lounging around the pool, as seen in the picture to the right. This Jr. sized Olympic pool is just one of the features of the Val Vista Lakes Clubhouse and Community Center. In addition you’ll find a lagoon swimming pool with a sandy beach, a cardio and weight training facility, raquetball courts, a tennis club with 8 tennis courts, and a banquet center for social events.